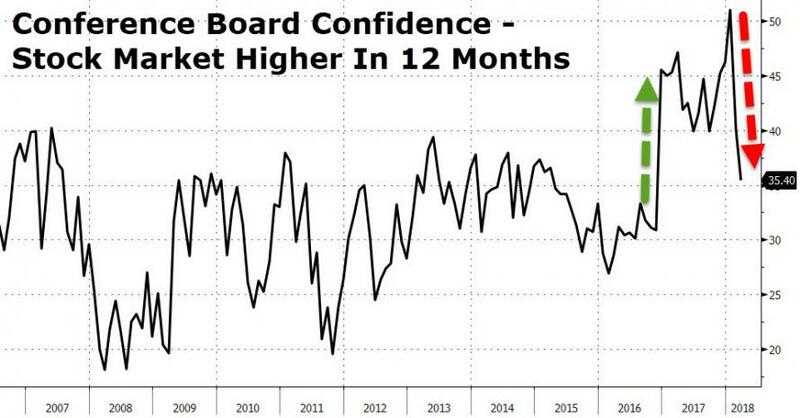 Having shrugged off stock market volatility in February, with present situation confidence buoyed by tax reform hope, Conference Board Consumer Confidence slipped in March (and missed expectations). 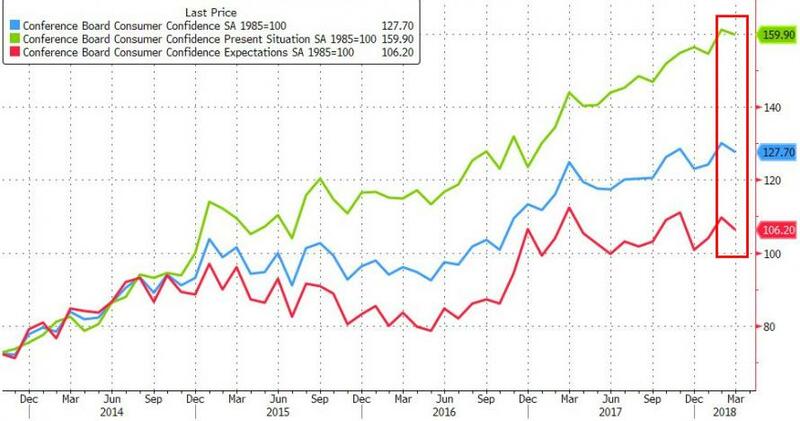 “Consumer confidence declined moderately in March after reaching an 18-year high in February,” said Lynn Franco, Director of Economic Indicators at The Conference Board. 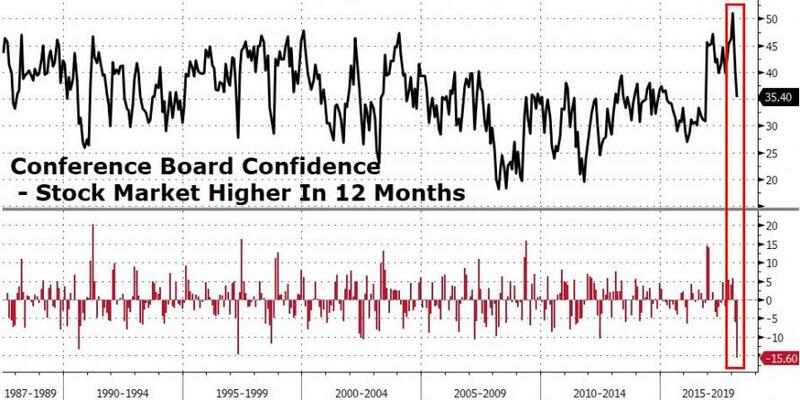 “Consumers’ assessment of current conditions declined slightly, with business conditions the primary reason for the moderation.